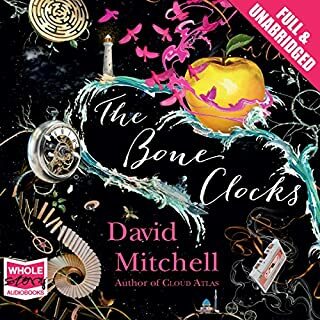 From David Mitchell, the Booker Prize nominee, award-winning writer, and one of the featured authors in Granta's Best of Young British Novelists 2003 issue, comes his highly anticipated third novel, a work of mind-bending imagination and scope. 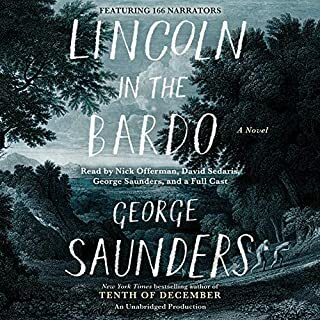 A reluctant voyager crossing the Pacific in 1850; a disinherited composer blagging a precarious livelihood in between-the-wars Belgium; a high-minded journalist in Governor Reagan's California; a vanity publisher fleeing his gangland creditors; a genetically modified "dinery server" on death-row; and Zachry, a young Pacific Islander witnessing the nightfall of science and civilization: the narrators of Cloud Atlas hear each other's echoes down the corridor of history, and their destinies are changed in ways great and small. In his captivating third novel, shortlisted for the Booker Prize, David Mitchell erases the boundaries of language, genre, and time to offer a meditation on humanity's dangerous will to power, and where it may lead us. I will start by saying that the ghastly ordeal of Timothy Cavendish was a particularly clever bit of writing. I am not entirely sure of all the subtleties that may fit his story, with that of the other five stories in Cloud Atlas(if any exist), but a more careful reading sometime in the future may explain it better to me. The other stories were also interesting, and I liked them all in varying degrees. Cloud Atlas is one of those books I may actually consider reading again, and that is saying a lot (I very rarely read a book twice). 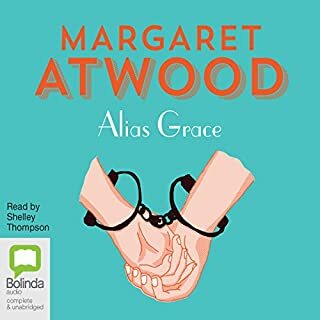 If you are contemplating paying a credit for this download, you should be aware however, that this book has a somewhat unconventional plot-thread(?) consisting of six stories. Each story is read or observed by the person in the next story. Each story ends abruptly, except the sixth story, which is finished at once. At this point the novel goes back to each of the other five stories to 'end' them, ending with the first last. United Kingdom, early 21st century. Nea So Copros (Korea), dystopian near future. 69 sur 72 personne(s) ont trouvé cet avis utile. Cloud Atlas is am ambitious literary undertaking that is worth every second of listening. Mitchell set himself the task of crafting six separate stories, in six different time frames, and presented in six different literary styles. The stories are connected in various manners both directly and indirectly with implied reincarnation. While the individual tales unfold in a temporal order, Mitchell creates a palindromic array where the first half of each story is revealed followed by an abrupt shift to the next (1-5); until the sixth which is presented in its entirety and then concluding the other five in reverse order (5-1). The six tales comprise a diarist in the mid 1800's, correspondence in the early 20th century, a journalist / detective in the late 20th century, a present day comedy (including many belly laughs), a late 22nd century sci-fi, and a later post-apocalyptic oral rendition. Each individual tale is well done with interesting plot twists, especially in the 2nd half of each tale. Of particular emphasis in each story is the influence that individuals can exert both immediately and for the future on the lives of others. The decision for six different narrators (each gets their own tale) deserves special kudos as this touch adds to the listening enjoyment. John Lee and Kim Mai Guest are simply spectacular. Be prepared for sudden shifts in the storyline without warning. This is one piece of ear candy to savor. 26 sur 27 personne(s) ont trouvé cet avis utile. Initially, I was concerned that I had made a mistake in choosing this book. Some of the reviews made me skittish and the first (of six) parts is quite difficult to listen to because of it's archaic language. In addition, this first part can make you worry that the book isn't going anywhere. 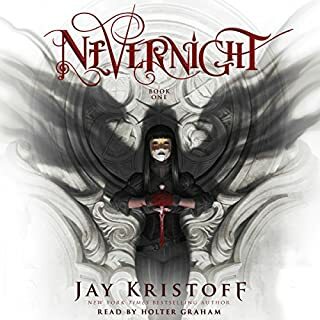 My patience was rewarded for the rest of the book however, and I include the very end-that picks up the tale of this first part again and is much easier to listen to 2nd time 'round. The readers are all wonderful, but especially the reader of the sixth part. The sixth part also has strange language. But the reader is so good, that I was totally hooked by the second paragraph. The overall plot was, at first, hard to find. 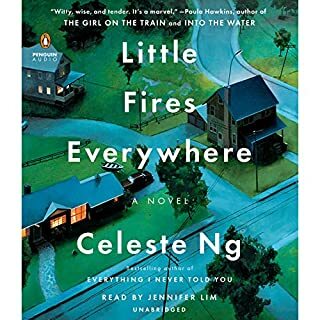 The story is so temporally disorienting that I had to let go for a while and just enjoy the little subplots as they lay. I noticed little gems of connection and filed them away for later. Then somewhere in the middle, revelation happened and I began to see Mitchell's point: Our past predicts our future, everything is cyclical and EVERYTHING is connected. I rarely read or listen to a book more than once but I am already looking forward to revisiting this again someday. 159 sur 171 personne(s) ont trouvé cet avis utile. 79 sur 86 personne(s) ont trouvé cet avis utile. "Hold out your hands, look. . . "
Cloud Atlas (2004) is a composite novel comprised of six different stories, each one set in a different time and place, including Belgium in 1931 and Hawaii in the far future; each one featuring a different protagonist, including a conservative 19th-century American notary and a revolutionary future Korean clone; each one belonging to a different genre, including an epistolary novel and a campfire tale; each one evoking a different mood, including suspense and black comedy; and each one featuring an aptly different style (vocabulary, syntax, and orthography), including an elegant Oscar Wildean British English and a lyrical post-apocalypse transformed English ala Russell Hoban's Riddley Walker. 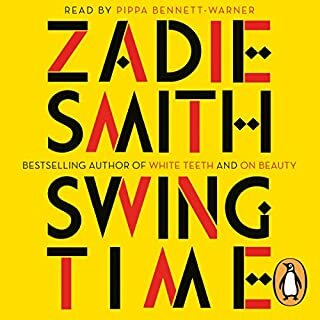 Author David Mitchell's ability to make each story strand and voice unique and convincing is impressive, as is his clever arrangement and compassionate linking of the six stories, which refer backwards and forwards to each other in increasingly meaningful ways. Tying the whole thing together is a set of potent themes relating to memory, history, story, identity, human nature, civilization, the past, and the future. "The mighty [Edward] Gibbon" and his masterpiece, The Decline and Fall of the Roman Empire, are often referred to and quoted ("History is little more than the record of the crimes, follies, and misfortunes of mankind"), and most of Mitchell's inter-nested stories concern the heroic attempt of fallible individuals in a moment of crisis to try to make a better future by standing up for another person or for themselves or for the truth and so defusing the default predatory human mode of greed, will to power, and cruelty. In short, the novel is about the growth of the human soul in eras and cultures inimical to it. "My eyes adjusted to the gloom & revealed a sight at once indelible, fearsome & sublime. First one, then ten, then hundreds of faces emerged from the perpetual dim, adzed by idolaters into bark, as if Sylvan spirits were frozen immobile by a cruel enchanter. No adjectives may properly delineate that basilisk tribe! Only the inanimate may be so alive." "I've manipulated people for advancement, lust, or loans, but never for the roof over my head." "I saw my first dawn over the Kangwon-Do Mountains. I cannot describe what I felt. The Immanent Chairman's one true son, its molten lite, petro-clouds. His dome of sky. . . Why did the entire conurb not grind to a halt and give praise in the face of such ineluctable beauty?" "In my new tellin', see, I wasn't Zachry the Stoopit nor Zachry the Cowardy. I was jus' Zachry the Unlucky'n'Lucky. Lies are Old Georgie's vultures what circle on high lookin' down for a runty'n'weedy soul to plummet'n'sink their talons in, an' that night at Abel's Dwellin', that runty'n'weedy soul, yay, it was me." "What wouldn't I give now for a never-changing map of the ever-constant ineffable, to possess as it were an atlas of clouds." 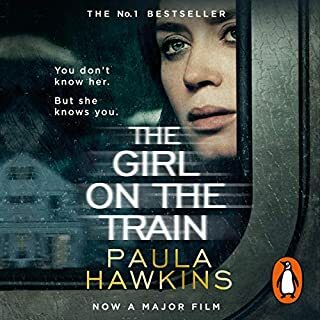 Perhaps the thriller story feels odd-man-out by having the only third person narration and generally seeming less convincing than its fellows (though I suspect that may partly be Mitchell's point). The intimations of reincarnation glimpsed in most of the stories sit a bit uncomfortably with me. In the brave new corprocratic dystopia of Mitchell's first future, I'd think that more likely brand names would become nouns than "fords" for cars and "sonys" for computer/smart phones (though "starbucks" for coffee and "nikes" for tennis shoes sure sound right). And because the stories of Cloud Atlas progress from the past to the future and back again, each ending in mid-crisis on the way forward, I found the first half of the novel when I had no idea what kind of story would start in each new section more intriguing than the second when the aborted stories conclude, albeit suspensefully. 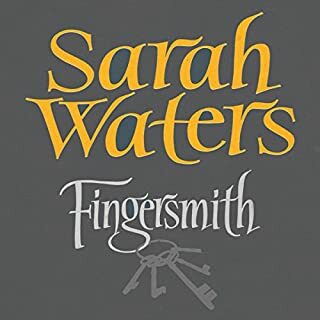 The six readers (four male, two female) of the audiobook are mostly quite good, especially Simon Vance as Robert Frobisher and John Lee as Timothy Cavendish, both men relishing Mitchell's spot on articulate, brilliant, cynical, educated British English for those two characters, and Cassandra Campbell was perfectly dignified, resigned, and hopeful as Sonmi-451. At one point, Mitchell's disinherited young British bisexual composer writes to his soul mate about Cloud Atlas, his "sextet for overlapping soloists, piano, clarinet, cello, flute, obo, violin, each in its own language of key, scale and color. In the first set each solo is interrupted by its successor. In the second each interruption is continued in order. Revolutionary or gimmicky?" This obviously describes the novel. So is it revolutionary or gimmicky? I think it falls between those two poles, being too coherent to be revolutionary and too well-written and heart-felt to be gimmicky. 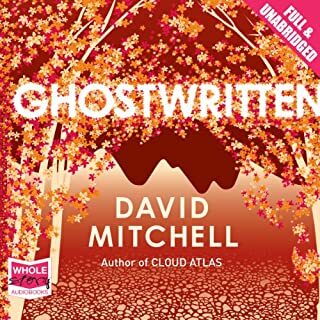 Mitchell (David-not Joni) takes an abstract agenda on a circular trek that arcs over the years with different stories and characters, then curves neatly back and around to completion (because we know a circle has no beginning or ending). The trick is to not keep asking are we they're yet and enjoy the ride, because Mitchell is constantly moving toward a destination, in spite of the feeling that you are zig-zagging all over the place (as well as through time). As reviewers have already shared, there are 6 stories/narratives that--not so much weave together as--stack upon each other, forming a ring around a central theme. 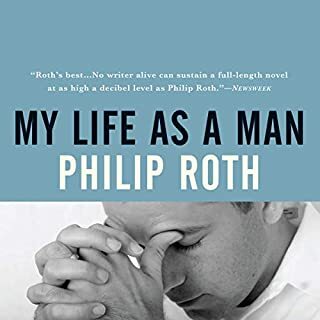 It IS witty and beautifully written and enlightening and humorous...I particularly enjoyed Mitchell's adeptness at becoming a new character and voice in a new era and a new world with each story--a person linked to the past and the future. And, he is a good story teller, one of those that can start a tale and envelop you in the atmosphere as much as the plot. Mitchell is as much an architect and adventurer as a writer, using his words to create and explore. 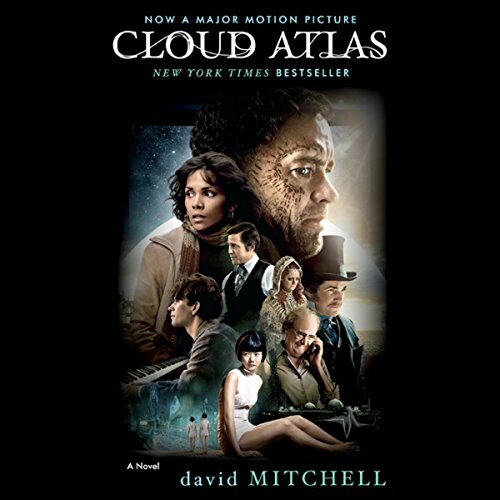 Some reviewers said they thought Cloud Atlas was a difficult book--an evidentiary case for the audio/Kindle combo option. Having the text was a good tool for those times when I needed 2 or 3 reviews to get on course, but the audio production was so good it heightened the experience. 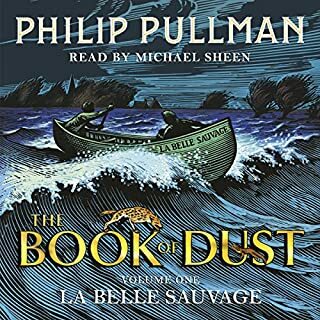 That said, if you can listen without disruption and want a little mind-expanding journey through time, this is not difficult at all...it just is adventurous and outside the box. A puzzle--but one that you can piece together as you go and enjoy the picture as it comes into view. 43 sur 48 personne(s) ont trouvé cet avis utile. One of my favorite books ever, partly because of its unusual structure. Cloud Atlas isn't really a novel in a traditional sense, but six stories nested inside each other. Mitchell writes each vignette in a wildly different setting and style, and offers only the slightest of devices linking each one to the next. There's a 19th century seafaring tale, a sardonic coming-of-age story set in the 30s, a piece after a 1970s suspense paperback, and... well, I won't give away the others. The lack of much direct connection between stories is the sort of choice that some readers will admire and some will think reduces the whole work to an exercise in self-indulgence. I fall into the former camp. Mitchell has the virtuosity to make his design work, and each character voice, though very different from the preceding one, rings true. I think that readers who are looking for a clever device to tie it all together, obvious closure, or a sense of how seriously the author means us to take his fanciful constructs, are missing the point. I find this be a work that creates a series of impressions, like paintings or tracks on a music album, and lets them float together in the reader's mind, their mood and tone forming moving but elusive connections in the imagination. In this case, the sense of struggle and incompleteness that each story evokes in its turn came across in a way I found beautiful and affecting, even in the way one world gave way to the next without warning. The cyclical structure of the book and its recurring patterns reminded me of Buddhist ideas. Don't try to read Cloud Atlas just for plot, or you'll be disappointed; read it for the writing, conviction, imagery, and artistry. 26 sur 29 personne(s) ont trouvé cet avis utile. This is one of the best books I have read in the last few years (and I read more than 100 books per year). 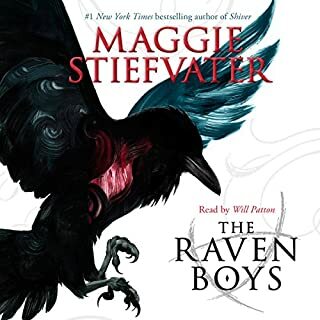 The different narrators for each section were excellent and helped distinguish each story. I did find myself reviewing the hard copy of the book as well because the material is so rich, I didn't want to miss anything. 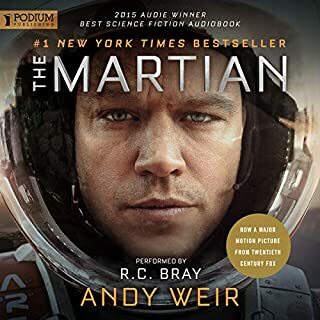 Although I normally don't read science fiction, the sections that were science fiction were intriguing because of the way they tied into the remainder of the book. Don't miss it! 36 sur 43 personne(s) ont trouvé cet avis utile. 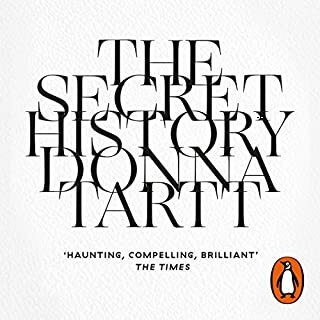 This is an extremely clever book filled with nuances and devices that would, I think, be better appreciated in the written form; to state the obvious, it's much easier to flip back in a book than it is to scan back on a listening device. 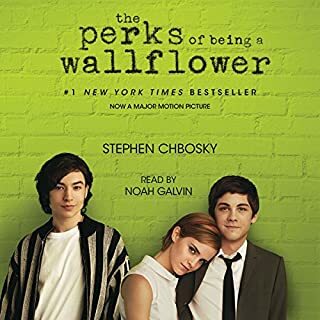 But you (who am I kidding, I mean me; it's all about me) feel pretty darned smart while listening to the second half of the book when you find that not only do you really get it, but that you are also able to make "aha" connections between parts early on in the book that made almost no sense at the time. This isn't a mystery (although one of the stories within the book does take the form of a mystery, of sorts) but I often felt as if I would have been better able to keep up with the story if I had been taking notes; then again, that probably would have interfered with my ability to sleep on the subway while listening to some of this book. 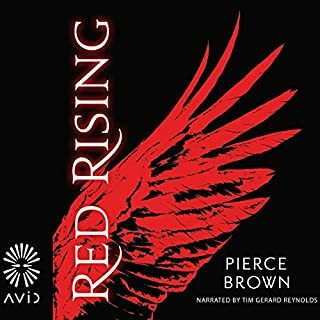 On an almost entirely positive note, some of the narration is excellent and the fact that the book is split up into six different stories with different narrators makes it very easy on the ear, if a little taxing on the brain. 73 sur 88 personne(s) ont trouvé cet avis utile. 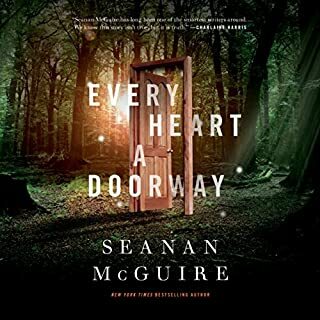 There are numerous descriptions of the structure of this book, so I'll skip the details and just say there are six different stories, all set in different times, but interconnected, and each is read by a different narrator. 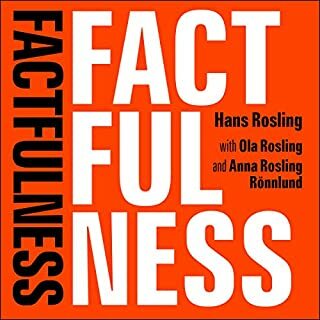 The narration alone made this book worth a listen. It starts with Scott Brick--one of my favorites, although I know some people don't like him as much as I do. But the other narrators are good too, particularly the one in the middle, longest section (sorry, don't know which one he is), who reads in a futuristic sort of Hawaiian pidgin. All the stories are at least engaging, and all but a couple are fun, with humorous moments. In each case it's as if someone is reading to you, or just telling you a story, perhaps to kill time while traveling, or at a boring party, or maybe around a campfire. That's the power of this book: there are so many stories in the world, and so many are connected. I do wonder if some of the stories could stand well on their own. One or two of these wouldn't have been as good without the framework. Together, though, they make a good experience. All were suspenseful; while I didn't care about every single character I did want to know what happened to them all. And the characters that I did care about stayed with me for days after listening. So I wouldn't say this is the greatest novel of all time. But I do recommend it for the light it throws on the messy, sad, funny, happy human experience. This is a very cleverly written piece and although I still don't understand the "Cloud Atlas" Title, recommended.The Readers are all very good, only the Somni Reader is at first a little annoying with a slight speech defect but one gets used to it and it then fits the part. Die einzelnen Episoden des Buchs sind exzellent gelesen, an der Performance liegt es also nicht. Aber wenn ich bis zur Hälfte eines Romans a) nicht weiß, worum es geht und b) nicht mal mehr interessiert bin es rauszufinden, stimmt etwas nicht. Cloud Atlas ist unglaublich konstruiert und mit Abstand eines der langweiligsten Bücher, die ich je gehört habe. Ich weiß, es wird überall positiv rezensiert (darum hatte ich es mir auch gekauft), aber das ist für mich nicht nachvollziehbar. Seelenwanderung und Post-Apokalypse ist ja z. Z. schick, aber das macht das Ganze auch nicht interessanter. 1 sur 7 personne(s) ont trouvé cet avis utile.